Hud completed foreclosure proceedings and now has this 3 bedroom house listed for sale. The list price right now is $160,000. This is a nice house in Lakewood but not on the water and does not have a basement. The address is 45 Cottonwood Lane. For these reasons, I believe the true value should be somewhere between $145,000 and $150,000. Being a foreclosure is what helps drop it to this value. I would be happy to assist you with the purchase of this house. 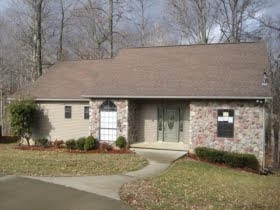 Here is a link to all current Dyersburg Hud foreclosures including this one. It does have a partial basement where there are 2 bedrooms and a den and a bathroom. Unfortunatly there is only one bedroom on the main floor which is the master bedroom!